When I was planning on getting my first bike with a primarily road focus (instead of a dirt focus), I started making plans about the long road rides with this dreamed new bike. 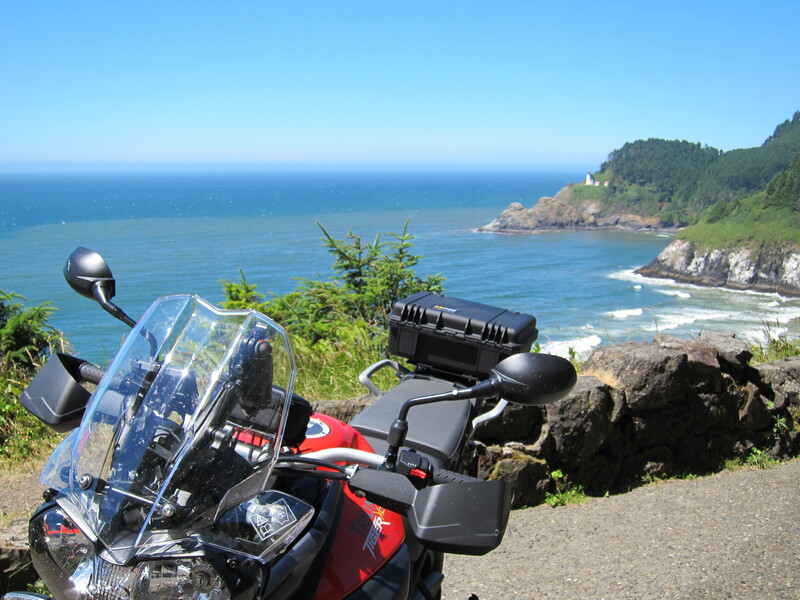 New horizons would open, so I imagined riding the Oregon Coast, from Astoria down to Gold Beach. I’ve been riding on the Newport-Florence area for a while. I can’t get tired of this little but beautiful stretch of the coast. But now I would have a bike with which I could easily expand my riding range. There were a few bikes that were candidates for this kind of riding. I chose the Triumph Tiger 800XC. It has that dual sport look to it, it has some enduro features, and it goes off pavement well. But it primarily is a nice, smooth, comfortable, upright seating, touring bike. Exactly what I wanted for long distance travel. At Haceta Light. 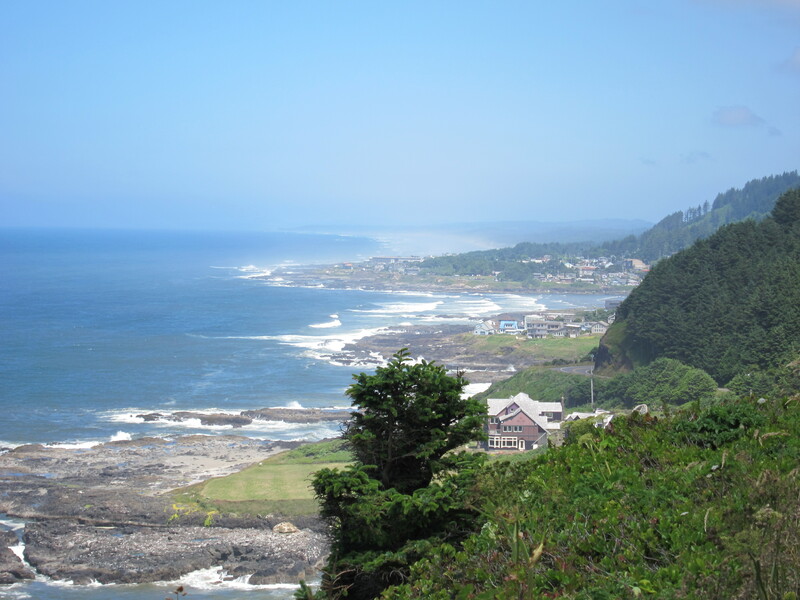 Hwy 101, Oregon Coast. July 2011. In preparation for the trip I also upgraded the handlebar mounted camera case with an Otter box and purchased the Giant Loop Great Basin bag. GPS, Otter box, Pelican Box, Giant Loop Bag. I consider this to be a smart set up. Light and with perfect weight distribution, narrow for better slipstream, no racks needed, making it one of the luggage set ups with the least negative impact on the bike’s performance. And it looks great too and it shows my dirt rider origins. Now that the bike and its logistics are complete, I can think about the ride again: where was it that I wanted to go, anyway? The original ideas for this ride was to check and document the Oregon art deco bridges from Astoria to Gold Beach. But a few good friends poisoned my plans: “Riding on the Oregon coast? Why not go south all the way to the lost coast in California?” a few mentioned. Easily convinced now that I have this bike, I accepted the challenge and raised the bet: if I go south, why not go all the way to the Golden Gate Bridge? But I had never crossed it. Well, this would be my chance. And the destination for the ride. Yes, I like to have a destination on my rides. I don’t like to plan the exact places and times to stop on my way to a destination, but I like to have a destination point. I might add some via points along the way, some alternate routes, but I like to have a mission, a destination. The plan: get there, cross it, document it, turn around and come back home. Simple. 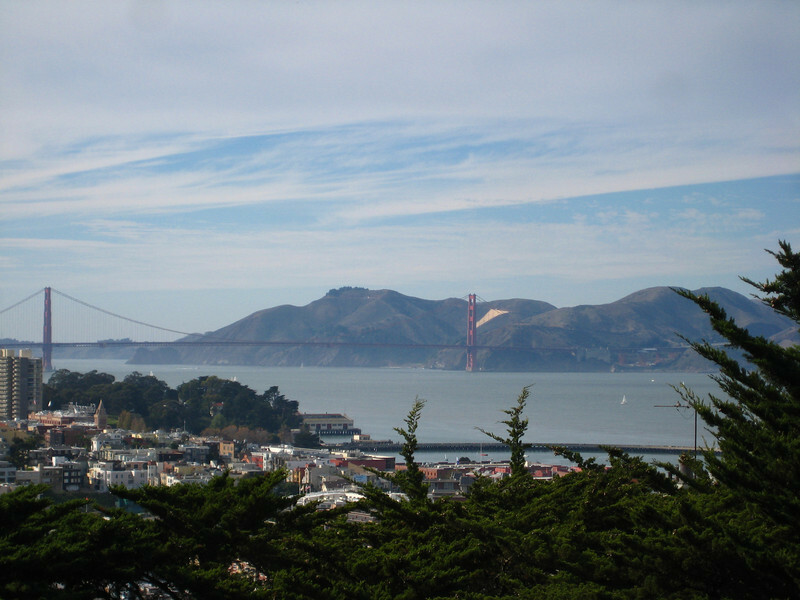 The Golden Gate Bridge is 537 miles (860km) from Eugene using the most direct route, via I-5. I will explore the less direct route, the longer way to the bridge and back. Arrive back home in one piece. Cross the Gold Gate Bridge and turn around. 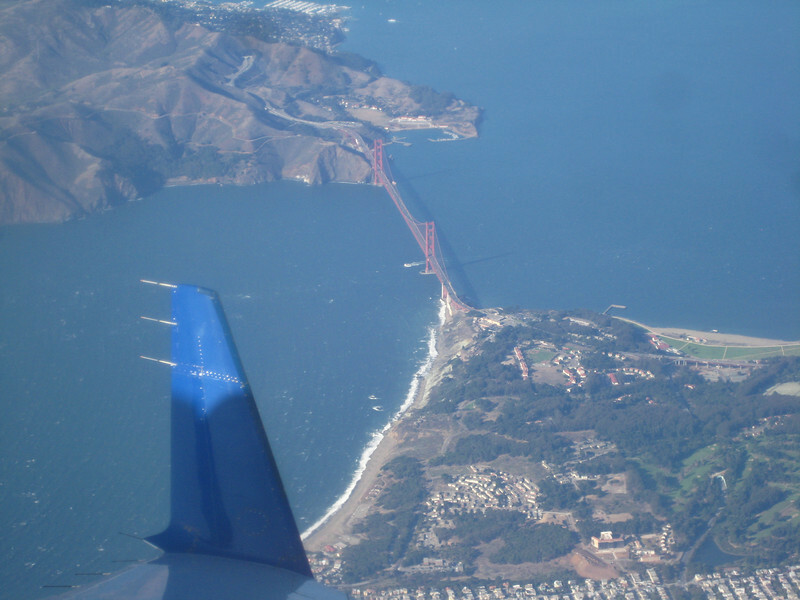 Stay as close to the Pacific Ocean as possible. See a sunset on the Pacific. Take a few pictures and video. Checking dates on my calendar… No too many open slots on a stretch, but I found one set of dates where I would only be interrupted by one conference call on a Monday, at 4pm, and would need to check emails on a couple more of days. Five open days! Let’s do it! 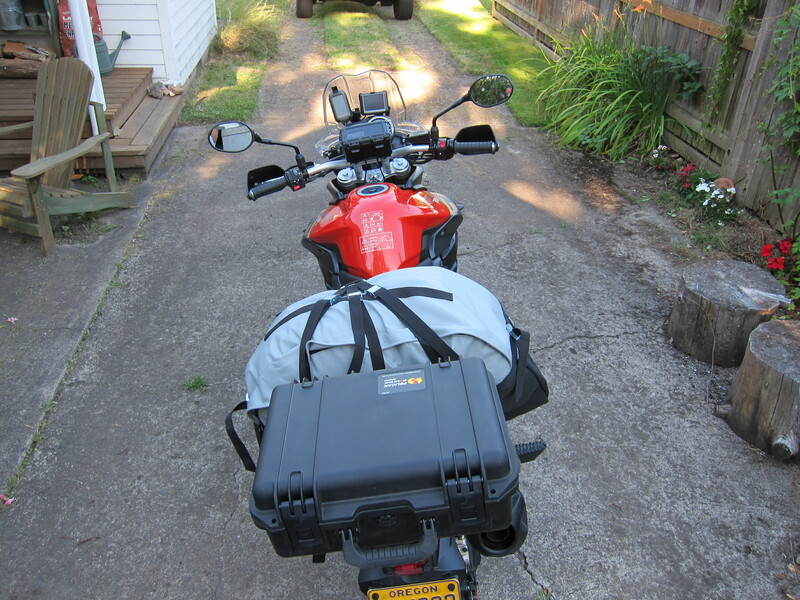 Next: day 1 – Eugene, Oregon to Trinidad, California.